The human rights and Palestine solidarity organisation BDS South Africa is greatly shocked and saddened by the horrific attacks in Paris and Beirut. The attacks have shaken not just France and Lebanon, but the whole world. BDS South Africa have begun to communicate and convey its condolences with counter parts in France and Lebanon. BDS South Africa has recent fond memories of the love, warmth and solidarity shown by the French when one of our BDS SA leaders recently visited, toured and addressed university students during the 2015 Israeli Apartheid Week campaign. We have also communicated our solidarity and condolences to our French volunteers in South Africa who have added greatly to our local solidarity work for Palestine, especially in Cape Town. It is a terrible day for the world and for humanity. 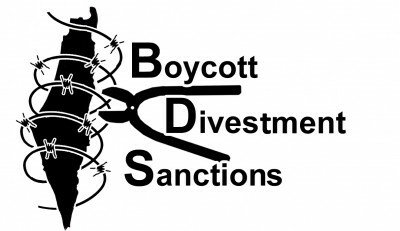 BDS South Africa joins the peoples of the world in calling for peace and justice. We condemn extremism and barbarity, be it the extremism and barbarity of Netanyahu and Israel or that of ISIS and Boko Haram. BDS South Africa sends its deepest condolences to the families and friends of those brutally murdered and to the people of France and Lebanon. We mourn with you our dear friends and comrades in Lebanon and France.